BlackVPN was originally a Netherlands based provider that stepped into the VPN industry in 2009. Later in order to maximize the security of their clients the company shifted its location to Hong Kong in 2012. This indicates about how much concerned the BlackVPN is for the security and privacy of their clients. With their proactive service and a strong social media presence, BlackVPN is honest and sought after VPN service we have reviewed in a long time. Read on this BlackVPN review on VPN Analysis to get the exact idea about their high-in demand services, attractive pricing plans, policies, features and compatibility. Diversity of payment method by a VPN provider gives you the privilege of subscribing to their services in a way that is most convenient to you. Presently, BlackVPN accepts payment via PayPal, Payment wall and BitCoin. So you can easily carry out your transactions with BlackVPN using any of these options as per your wish or convenience. The refund is claimed within 14-days of the purchased date. The refund is not claimed previously under the above policy. Make sure that BlackVPN hasn’t already suspended your account due to violation of terms of their services. Moreover, if you renew your order then BlackVPN promises to offer you a 100% refund again without hesitation and without interrogation. BlackVPN have gone an extra mile in educating internet users about VPN and related aspects of it through fun and engaging videos- a trait which few VPN providers have shown. Checkout and get a brief idea of this BlackVPN! Although the server area network of BlackVPN is not as large as compared to few other VPNs but they have smartly deployed their servers in the most perfect locations geo-graphically. Currently, they have servers located in 14 countries which include: Canada, United Kingdom, United States (East and West), Switzerland, Luxembourg, The Netherlands, Singapore, Russia, Estonia, Ukraine, Panama, Brazil, Romania and Australia. All of the above mentioned servers in those locations are dedicated machines that will deliver you fast and seamless streaming, torrenting and gaming experience. It will also allow you to evade all kind of rigid censorship or strict internet laws and get around GEO IP based restrictions. However, the key point to note is that they do not allow P2P services on UK, Singapore and USA servers. This effort is just for the purpose of keeping their clients safe from DMCA notices if they found liable for downloading stuffs illegally on those servers. Having an unlimited bandwidth is all a user seeks in order to enjoy unlimited torrenting, downloading, online gaming or simply making unlimited video calls. BlackVPN users can enjoy this freedom of unlimited bandwidth by subscribing to any of the package offered and say a forever goodbye to the fear of being throttled. BlackVPN provides the freedom to their client to switch between the servers without limitations. This way you can make the best selection of the server that fits perfect to your location by simply switching between the servers any number of time. 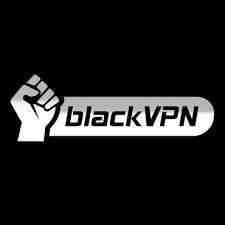 BlackVPN provides you 3 Multi-logins on a single BlackVPN account. So users’can enjoy all the amazing services of it onto any 3 devices i.e. Phone, PC and any other device simultaneously without need of entering login details on each device separately over and over again. BlackVPN brings the Anti-Malware feature in their product so that none of their client ever becomes a victim of malicious viruses and Trojans. This feature keeps you safeguard you from all the malicious apps that may purposely enter into your PC even without your consent. DDoS attacks are a big threat to an online gamer as they cause temporary delay in between the internet connection. But if you are using BlackVPN then it will give you protection against these DDoS attacks by simply keeping your data traffic filtered. The compatibility of BlackVPN to all major platforms and devices is quite impressive. It supports Windows, Mac OSX, Linux, iOS (iPhone, iPad, iPod touch and AppleTV), Android, Boxee Box, Xbox360, pdSense, gaming consoles, Wii U, PlayStation and DD-WRT routers. It is important to note that BlackVPN does not have proprietary PC software but instead offer viscosity or OpenVPN client. Thankfully comprehensive video guide is available on their website for all these platforms to install BlackVPN that even a non-technical user can easily configure BlackVPN without any hassle. Right off the bat, BlackVPN has been very vigilante in securing the matters related to the online security and privacy of its users. Being a Hong Kong based company; BlackVPN now enjoys the freedom of being away from the jurisdictions of both US and EU. Let’s talk in more detail about its protocol, encryption and logging policies. Protocols and Encryption are the key elements that create the secure and private tunnel for the users. Although it does not offer custom client software but they do provide OpenVPN set up guides for Windows (8, 7, Vista and XP), Mac, Android and iOS. Surprisingly the service provides 256 AES OpenVPN along with 4096 bit key. They also offer L2TP/IPSec and PPTP protocols for all the supported devices and OSbut everyone knows that OpenVPN is the most secure and provides above average speed among the other two supported protocols. BlackVPN customer support is very responsive. You can contact them via Live Chat or support ticket. They also assist their customers by regularly updating their FAQ section that contains answers to all the queries from general to any trouble shooting issue. Their Support Ticket is very quick at reply not like few other VPN and available 24/7 which shows that they are much concerned about resolving their clients’ issues. They have also introduced live chat support but the only thing that is missing is that this support is available for only 20 hours a day. Giving you a rough idea, they are most likely available between 1 AM-12 PM and 3 PM-10 PM UTC. BlackVPN is an honest VPN service which doesn’t keep its users in dark. They have clear set of policies and have mentioned everything in black and white. The best thing that a BlackVPN provides is a complete set of packages that are categorized in a way that the user can easily choose the best package as per their need for that time. This diversity in subscription packages is what we consider it as unique selling proposition of BlackVPN. Users’ can avail the 14-days money back guarantee again upon renewal of their subscription package. Additionally, they provide detailed video set up tutorials that even a non-technical customer will easily install BlackVPN on their devices without issues. These things give the BlackVPN a good edge in the VPN industry that every potential customer will love to purchase it. Overall, BlackVPN have truly emerged as a pretty decent VPN service in recent times which never seizes to amaze it’s users through their great service. Their service is amazing and stands out as one of the good VPN available in the market today that truly promises to make the users identity secure, private and anonymous over the internet and allow them to stream, download or surf the internet world safely!